The Duchess of Kent Military Hospital (DKMH Catterick) in Yorkshire was a large army hospital and training facility for pupil nurses (SEN - State Enrolled Nurse) and ward stewardess’ (later called health care assistants). 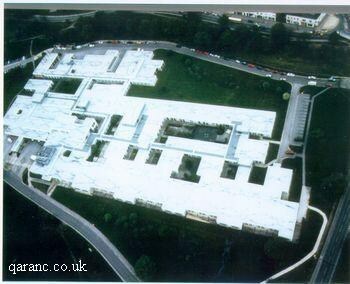 DKMH Catterick opened on the 6 October 1976 and replaced an old hutted hospital from the pre World War Two era. This new Duchess of Kent Military Hospital cost ?3 million to build. It closed on the 1 July 1999 after a review of the Army Medical Services though a psychiatric unit remained which provided 20 in patient beds and an out patient department. No sectioned patients were admitted and these were cared for at NHS secure units. There was another defence review by the Ministry of Defence (MOD) in the year 2001 which resulted in the Duchess of Kent’s Psychiatric Unit closing. Played Rugby Union for 8 Signal Regiment one Tues afternoon-when phoned by Taff Maybank to turn out against "ALL BLACKS " on tour from NZ=chance of a life-time=Great. In Hong Kong Turned up to see RU International 7s,and saw the "great" Andy Ripley (now sadly deceased )England No 8. Also played for BMH HK+ HK "Tigers".played against Japan, Fiji,+others. Where in life could a Miners Son from Yorkshire =Get such chances other than in the Forces.